Plunket, J., (Madden) Stanzel, K., Weber, R.L.J., Lerberg, S. 2015. Climate Change Vulnerability Assessment Tool For Coastal Habitats. Raposa, K.B., R.L.J. Weber, and D. Durant. 2013. Using underwater video to map subtidal habitats and eelgrass (Zostera marina) around Prudence Island, RI. Narragansett Bay Research Reserve Technical Reports Series 2013:2.Schmidt, C.E. 2014. Atmospheric Nitrogen Deposition: Analysis of a little studied, but important, piece of the N budget in Narragansett Bay. 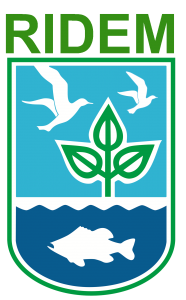 Narragansett Bay Research Reserve Technical Reports Series 2014:1. Raposa, K.B., and R.L.J. Weber. 2013. Implementing the NERR Sentinel Sites Program at the Narragansett Bay Research Reserve to Track Salt Marsh Responses to Climate Change Stressors. Narragansett Bay Research Reserve Technical Reports Series 2013:1. Weber, R.L.J. 2012. NBNERR Vertical Control Plan. Narragansett Bay Research Reserve Technical Reports Series 2012:2. Wilson, C.A. 2012. Prudence Island Salt Marsh Restoration Initiative: Mill Creek and T-Wharf Geologic Analysis. Narragansett Bay Research Reserve Technical Reports Series 2012:1. Weber, R.L. 2011. Prudence Island Cooperative Weed Management Area: Scope and Activities through 2011. Narragansett Bay Research Reserve Technical Reports Series 2011:5. Raposa, K.B. B. Russell, and A. Bertrand. 2011. A protocol for rapidly monitoring macroalgae in the Narragansett Bay Research Reserve. Narragansett Bay Research Reserve Technical Reports Series 2011:4. Raposa, K.B. and R.L.J. Weber. 2011. NERRS reference sites project: Final report from the Narragansett Bay Research Reserve. Narragansett Bay Research Reserve Technical Reports Series 2011:3. Weber, R.L.J. 2011. A report of the Prudence Island groundwater task force. Narragansett Bay Research Reserve Technical Reports Series 2011:2. Durant, D., and K.B. Raposa. 2011. Water quality, nutrients, and meteorological trends at the Narragansett Bay National Estuarine Research Reserve in 2009. Narragansett Bay Research Reserve Technical Reports Series 2011:1. Weber, R.L.J. 2010. NBNERR woodcutting stewards program report. Narragansett Bay Research Reserve Technical Reports Series 2010:3. Durant, D,. and K.B. Raposa. 2010. Water quality, nutrients, and meteorology at the Narragansett Bay National Estuarine Research Reserve: 2008 annual report. Narragansett Bay Research Reserve Technical Reports Series 2010:2. Raposa, K.B. and M. Bradley. 2010. A method for rapidly assessing the distribution and cover of submersed aquatic vegetation in Rhode Island estuaries. Narragansett Bay Research Reserve Technical Reports Series 2010:1. Raposa, K.B. and M. Bradley. 2009. Methods and protocols for eelgrass mapping in Rhode Island: Recommendations from the Rhode Island Eelgrass Mapping Task force. Narragansett Bay Research Reserve Technical Reports Series 2009:5. Raposa, K.B. and R.L. Weber. 2009. Establishing salt marshes in the Narragansett Bay Research Reserve as reference marshes for long-term ecological monitoring. Narragansett Bay Research Reserve Technical Reports Series 2009:4. Durant, D., K.B. Raposa, and R. Stankelis. 2009. Water quality and meteorological station annual report 2007: recent and long-term data. Narragansett Bay Research Reserve Technical Reports Series 2009:3. Raposa, K.B. and R.M. Dapp. 2009. A protocol for long-term monitoring of harbor seals (Phoca vitulina concolor) in Narragansett Bay, Rhode Island. Narragansett Bay Research Reserve Technical Reports Series 2009:2. Heffner, L. 2009. Nutrients in mid-Narragansett Bay: A spatial comparison of recent and historical data. Narragansett Bay Research Reserve Technical Reports Series 2009:1. Raposa, K.B. and D. Durant. 2008. Spatial and temporal patterns in water quality conditions in Narragansett Bay’s coves and embayments in 2008. Narragansett Bay Research Reserve Technical Reports Series 2008:2. Raposa, K.B. and F. Olmeta. 2008. High-resolution water quality mapping in Narragansett Bay, RI using DATAFLOW. Narragansett Bay Research Reserve Technical Reports Series 2008:1. Raposa, K.B. and T.E. Kutcher. 2007. Home range and habitat use patterns of Eastern Box Turtles (Terrapene carolina carolina) on Prudence Island, Rhode Island. Narragansett Bay Research Reserve Technical Reports Series 2007:1. Raposa, K.B. 2006. Nekton use of transplanted eelgrass beds in Narragansett Bay, Rhode Island. Narragansett Bay Research Reserve Technical Reports Series 2006:2. Raposa, K.B. 2006. Ongoing nekton monitoring within the NERRS. Narragansett Bay Research Reserve Technical Reports Series 2006:1. Kutcher, T.E., N.H. Garfield, and K.B. Raposa. 2005. A recommendation for a comprehensive habitat and land use classification system for the National Estuarine Research Reserve System. Narragansett Bay Research Reserve Technical Reports Series 2005:1. Vigness-Raposa, K. 2004. The relationship of landscape composition to the distribution of birds on Prudence Island. Narragansett Bay Research Reserve Technical Reports Series 2004:6. Vigness-Raposa, K. 2004. Land cover map of Prudence Island, RI from Landsat imagery. Narragansett Bay Research Reserve Technical Reports Series 2004:5. Raposa, K.B. and M. Rehor. 2004. Monitoring wildlife in the Narragansett Bay National Estuarine Research Reserve using weekly driving surveys. Narragansett Bay Research Reserve Technical Reports Series 2004:4. Kutcher, T.E., K.B. Raposa, and F. Golet. 2004. Habitat classification and inventory for the Narragansett Bay National Estuarine Research Reserve. Narragansett Bay Research Reserve Technical Reports Series 2004:2.